Allen previously worked at Shift Communications for 13 years, starting as an account manager in 2003. 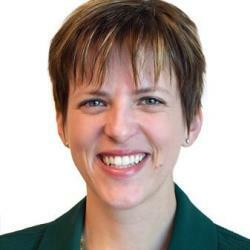 BOSTON: WE Communications has brought on Catherine Allen as SVP and GM of its Boston office. She will be responsible for marketing and business development in Boston and New England, and will focus on healthcare clients, serving as the lead on several accounts. Allen previously worked at Shift Communications for 13 years. She started her tenure at the firm as an account manager in May 2003 and was most recently EVP and lead of its Boston and New York account teams, according to her LinkedIn profile. She also established Shift’s healthcare practice and has worked in healthcare, consumer, and technology PR over her 20-year career. WE saw a U.S. revenue decrease of 8.6% to $80 million in 2015, though it said healthcare was a growing practice last year. The firm hired former Text100 SVP Steve Kerns as GM and SVP of its San Francisco office in April and brought on former Edelman senior executive Alan VanderMolen as EMEA and APAC president in March.